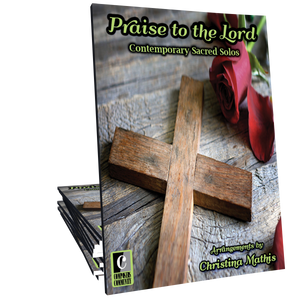 What a Friend We Have in Jesus arranged in a contemporary setting by Christina Mathis. This intermediate arrangement is perfect for church preludes, offertories, and recitals. You and your students will enjoy playing this lyrical arrangement of an all-time favorite hymn. Beautiful arrangement! Someone at church even mentioned how much they enjoyed it. Lovely arrangement of this hymn. I was able to play it on Mother's Day at my Mom's church in her memory - it was one of her favorites. I had so many wonderful comments made to me afterwards about this beautiful arrangement! Arrangement is so nice! Great smooth feeling and uplifting song. Love the balance of notes throughout this whole piece! Great Job!